Michael's big sister, Tina, adored him from the start. From a twelve-year-old holding him in her arms as a newborn, to being his teenage nanny, Tina remained Michael's trusted confidant until his sudden death. Tina's intimate and detailed telling of her brother's story-from faltering teenager with a lisp to raging rock star-blazes with love and adventure, and includes the acquired brain injury that changed everything for Michael; the risky schemes that saw him named in the Paradise Papers expose of 2017; his secret philanthropy in support of East Timor; and his bliss at the birth of his only child, Heavenly Hiraani Tiger Lily. 'My brother roamed the world with a book in his hand and one in his suitcase,' Tina writes, and throughout Michael a paper trail of the literature he loved gives clues to the man many see as an enigma. 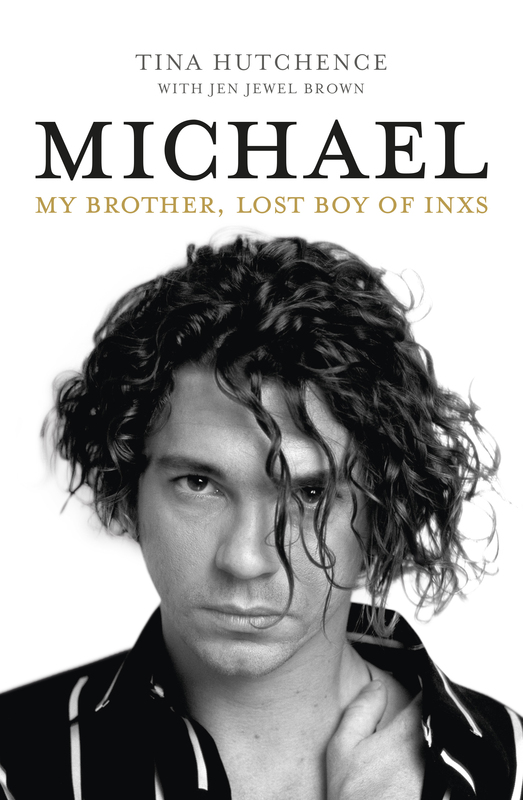 A cry from the heart celebrating the 'lost boy of INXS', Michael Hutchence, this personal and heartfelt biography reveals the incredible, rollercoaster life of Australia's most enduring superstar and shares the private moments of an adored brother, son and father. Christina 'Tina' Hutchence was born in Melbourne, Australia and managed to attend school in all three eastern states across six schools in four years. As a teenager she moved to Hong Kong and followed her mother into the motion picture industry as a makeup artist, a career she continued in after moving to California in her early twenties. Tina currently teaches the art of makeup and travels the United States lecturing and demonstrating at major beauty shows. She is the mother of two children and the proud grandmother to 5. Jen Jewel Brown was the first Down Under reporter for Rolling Stone Australia. She first met and interviewed Michael three times from mid-1980, also dueting with him on his first solo single, 'Speed Kills', from the soundtrack of Freedom (1982). When Professional Manager at MCA/Gilbey, Jen helped sign INXS to a worldwide music publishing deal which helped fund their overseas touring. The author, poet and journalist first met Tina when interviewing her for an essay about Max Q for the anthology Rock Country (2013). She's an interviewer for the National Film & Sound Archive of Australia and part of the writing Brains Trust for television/live show RocKwiz. Jen wrote Skyhooks: Million Dollar Riff (1975) and more recently, about Frank Zappa, an essay for the press kit of the documentary Eat That Question: Frank Zappa in his own words (2016) and liner notes for Frank Zappa/Mothers The Roxy Performances seven-album box set (2018).